Can we count on you? – No More Freeway Expansions. Public Comment Closes Monday, April 1st. 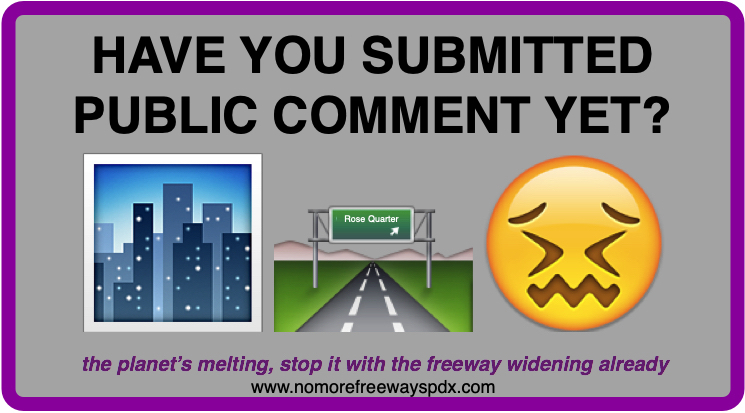 We’ve received over 450 comments in opposition to this project (That’s nearly one for every $1 million this proposed freeway expansion is going to cost!) Thank you so much for your support. If you haven’t got on the record yet, now’s the time. We’re hoping to get double that by the end of next week, and we need your help. 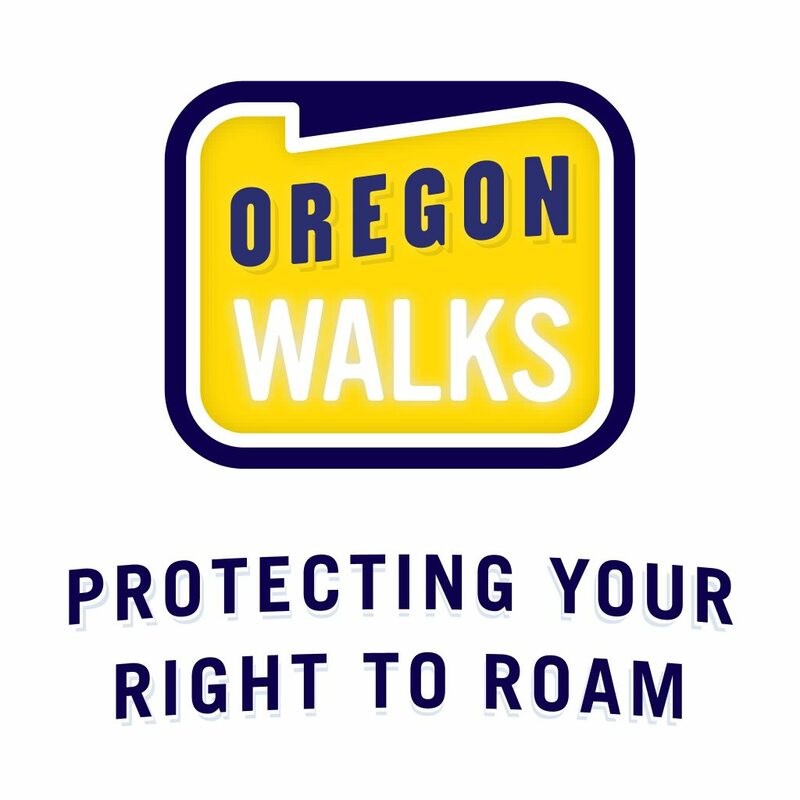 We sent ODOT a letter asking the agency to honor their original commitment to provide us a full 45 day public comment period, starting from the March 13th date that they provided the additional 630 pages of traffic data we need to independently verify their claims. The agency said no (just like they did when we asked for an extension in November – doesn’t seem like they are particularly inclined to giving community groups much time to review their findings), so unless they change their mind soon thanks to the pressure some elected officials are placing behind the scenes, the public comment period ends on April 1st. April 1st! That’s only six days from now! City Observatory asked national urban transportation leaders including Janette Sadik-Khan, Robin Chase, and Jennifer Keesmaat (three solid candidates for a Mt Rushmore of badass transportation leaders) what they thought about this project. They all spoke out in opposition to the freeway widening. Someone asked: “Can you imagine a future for the Albina Vision that is not dependent on widening the freeway?” “Yes. I can envision a future like that,” Adams replied. BikePortland.org covered the recent Portland Parks Foundation event about the Albina Vision and how it relates to the Rose Quarter Freeway Expansion. 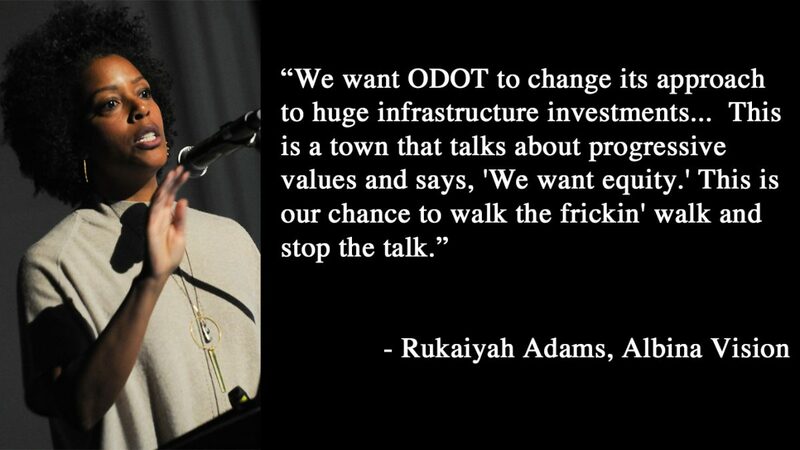 Portland Public Schools officially voted last week to send public comment to ODOT asking for the agency to conduct a full Environmental Impact Statement that addresses the numerous health and safety concerns that the district has about the freeway expansion in the backyard of Harriet Tubman Middle School. PPS Board Members grilled ODOT staff about this project more than any other public agency throughout this entire process. 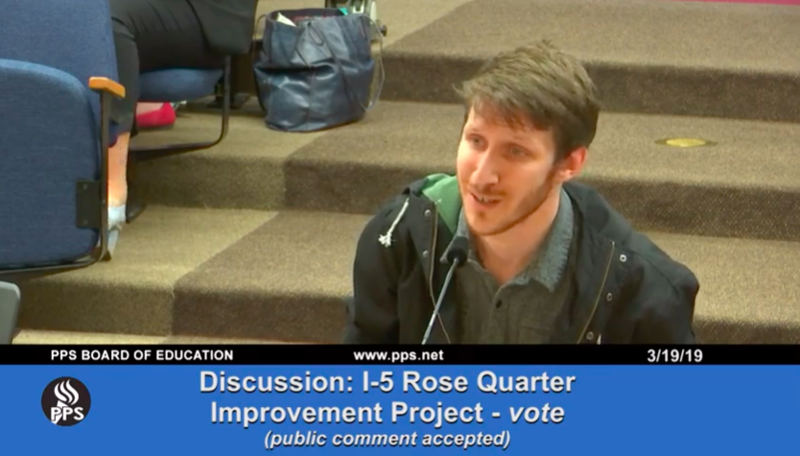 The Oregonian and KATU covered the vote, PPS’ draft memo can be read here, and you can watch the youtube stream of PPS’s questions to ODOT here (our testimony is available here!). 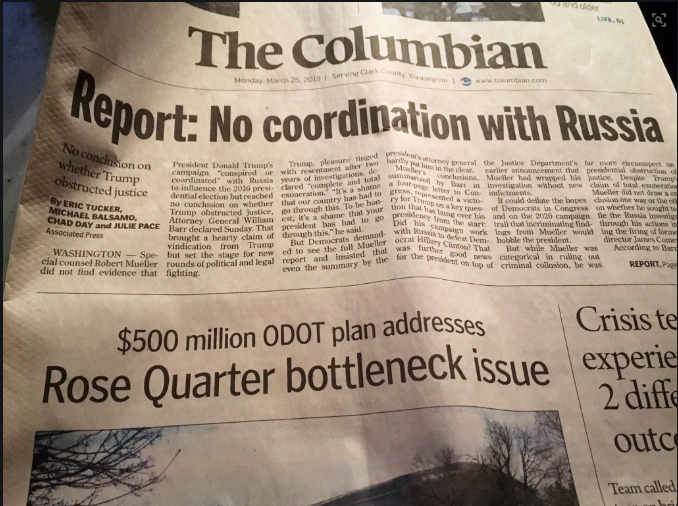 We somehow got to use the phrase “screw over” in a newspaper of record, Clark County’s The Columbian, and our story was on the front page right below an unrelated difference story about questionable government negligence and incompetence disguised with a misleading headline. Speaking of Clark County, City Observatory published a great piece highlighting how much of our recurring traffic congestion on I-5 is due to Oregon’s lack of a sales tax (and lack of congestion pricing.) City Observatory has also written about how the RQ Freeway Expansion is wide enough for ODOT to stripe the freeway even *wider* than they are proposing, how the renderings of the drawing are disingenuous, and how this expansion is unlikely to improve traffic safety in the corridor. 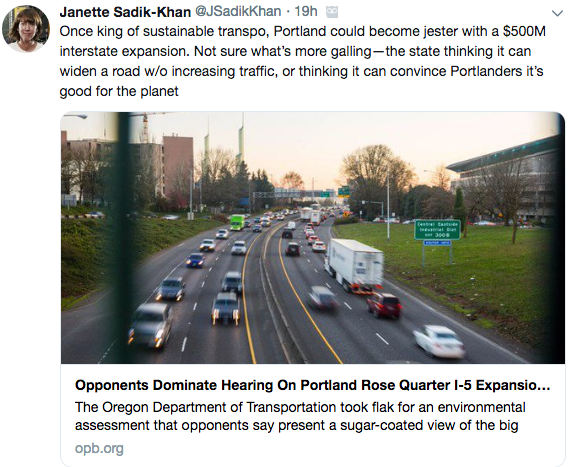 We’re indebted to City Observatory for their ongoing reporting and independent research on this freeway project – Joe Cortright also published a succinct op-ed in The Portland Tribune. 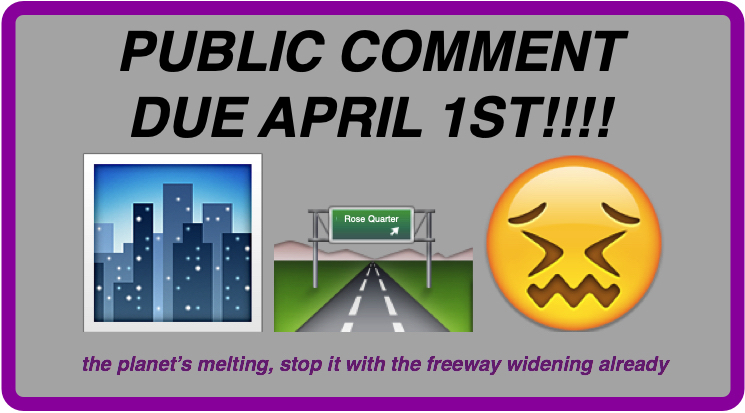 In case you somehow missed our subtle reminders, the public comment period is a big-freakin-deal for the success of our campaign, and if you have strong feelings about this freeway whatsoever, there’s no better time than today to formally voice your concerns about this project. So go do it. We’ve made it easy for you – we have a form on our website from which you can submit testimony, and a list of popular/easy talking points. It’s most helpful if you tell your own personal story – why are *you* worried about the air pollution in the neighborhood? Are you a parent concerned about climate change? Do you walk on 82nd avenue frequently, and wish ODOT would get around to fixing that instead of dumping $500 million into a freeway expansion? Are you just plain bonkers for induced demand? Thank you so much for the outpouring of support. We’re in the final stretch – let’s go big and do this thang. (and please, send in public comment).